It's dark outside, the world coated modestly with snow, and in the East glimmers the possibility of sunrise through a clouded sky. 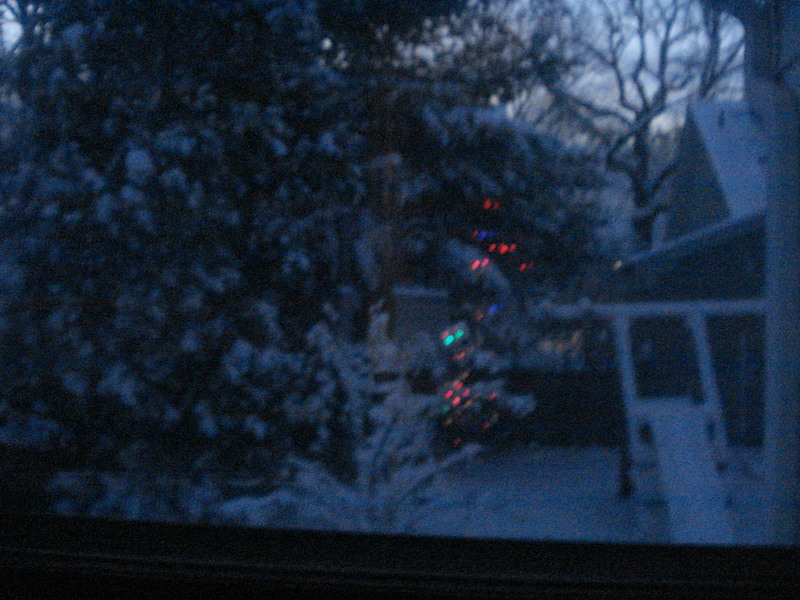 In the window, against the apple tree and the pine, I see the reflection of our Christmas tree lights. And this morning, I believe it's coming. that’s so gorgeous. you have motivated me to get OUR tree up today! thanks.